With a Keep Warm function, colourful illumination light and stylish glass body, this kettle will upgrade your kitchen as well as your morning cuppa. Your morning beverage isn’t just a drink. It’s the difference between a good day and a bad, a pick-me-up that never fails even on the grimmest of mornings. 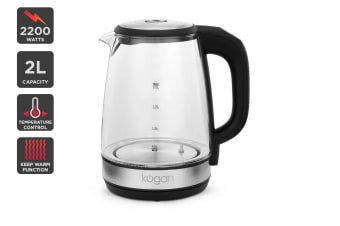 The Kogan 2L Cordless Smart Glass Kettle 2200W has a whole host of innovative features to take your morning brew from average to outstanding. Have perfectly heated water ready when you wake up! Simply leave the Kogan 2.0L Cordless Smart Glass Kettle on the Keep Warm function overnight, and wake up to perfect, ready-to-pour 80°C water the second you get out of bed. The kettle body LEDs shine green for 50°C, blue for 70°C, purple for 80°C, yellow for 90°C and red for 100°C so you can tell at a glance when your water is ready. 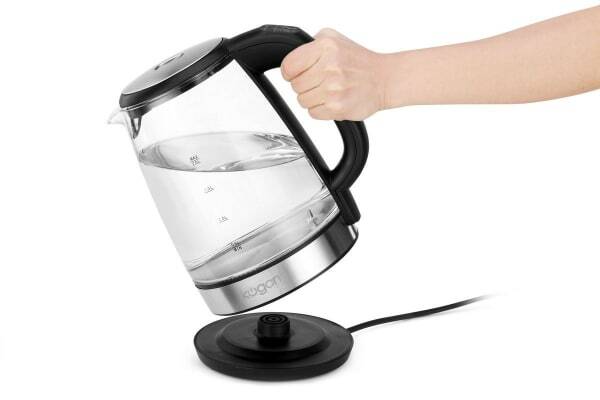 The kettle will also buzz twice when turning on and when it reaches the set temperature. 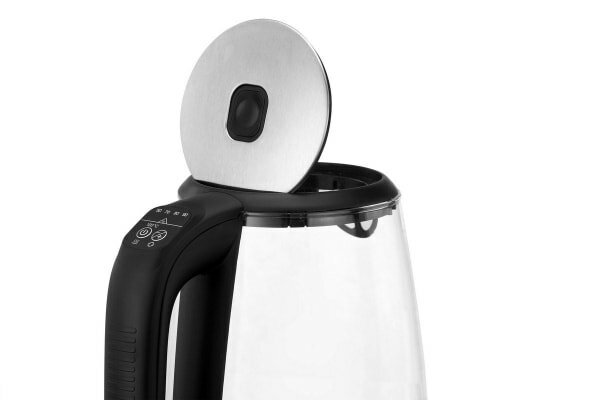 2200W power to get your morning cuppa quicker. Perfectly cooked meals every time. Easy to clean so you spend less time in the kitchen. It does everything it was said to do and looks great.